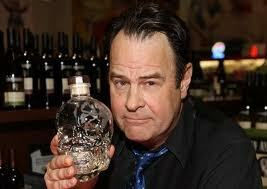 Dan Aykroyd is the victim in a MASSIVE vodka heist — we’re told over 21,000 bottles of his Crystal Head Vodka were stolen from a California warehouse recently … and get this, Dan ain’t even mad. Dan released a statement to TMZ — claiming, he is both “distressed and elated” after hearing that several hundred thousand dollars worth of his vodka was hijacked within the last few days. Dan adds, “CHV can be purchased legally at bars, restaurants, and retail stores throughout North America.” Fun fact — the vodka recently won a Double gold Award at the 2011 San Francisco World Spirits Competition … unanimously beating out 200 other brands. 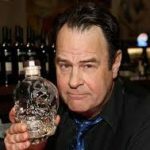 As for police involvement — Dan’s rep tells us, both the LAPD and the Bureau of Alcohol, Tobacco, and Firearms are currently investigating the vodka-napping.